Your place can smell the best with this long time running aromatherapy diffusers, now you can forget the temporary solutions like aroma candles or room freshner. As the diffusers are more safe as they do not catch fire or doesn’t mess up the place. Unlike candles or more passive scent dispensers like Glade PlugIns, you can vary the scent just by choosing different oil. A diffuser will also make any bath feel a little fancier. Diffusers give you a feeling of calm and subtleness; you can concentrate on whatever work you are doing with more dedication. 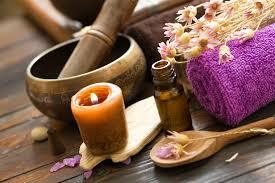 Thus aroma therapies have been used since ancient ages to make the surroundings better and spiritual. The health benefits they serve are they restore moisture into the dry indoor air, which means your skin stays clear and balanced, your hair stays shiny and moisturized, and your indoor plants don’t wither and die. All diffusers do the basic job of making the environment smell good. But if you pick anyone at random they have issues like oil leakage, a small amount of mist production or else have confusing buttons. There are 2 types’ diffusers- ultrasonic diffusers and nebulizers. Popular electronic diffusers are ultrasonic diffusers. These are small tanks of water with few added drops of oil depending on how strong you want the smell to be. There’s a vibrating diaphragm in the diffuser that changes the water and oil into a cool mist. For a stronger smell, there are nebulizers which diffuse oil directly by blowing compressed air through it to turn it into the mist. You can choose the diffuser according to your needs and demands. 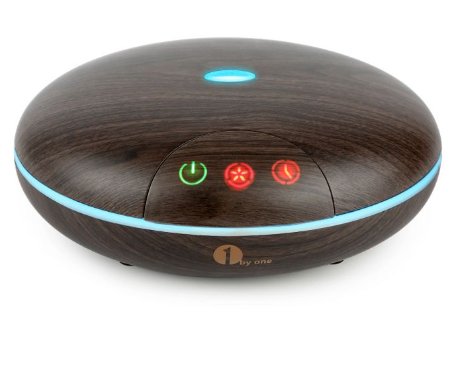 The 1byone aromatherapy oil diffuser runs for longer than 8 hrs creates a satisfactory mist to light up your mood and environment. It has a clean and simple design, unlike many other units we looked at. You don’t need to worry about leaving it on for a longer time as it automatically goes off after the oil level goes down. It produces cool mist evenly, quietly and consistently. You can change the color as per your convenience; it offers seven different ranges of colors. It creates a warm and cozy atmosphere where you can relax and nap at your best. The design adds an aesthetic look to your home décor and gives a soothening feel.